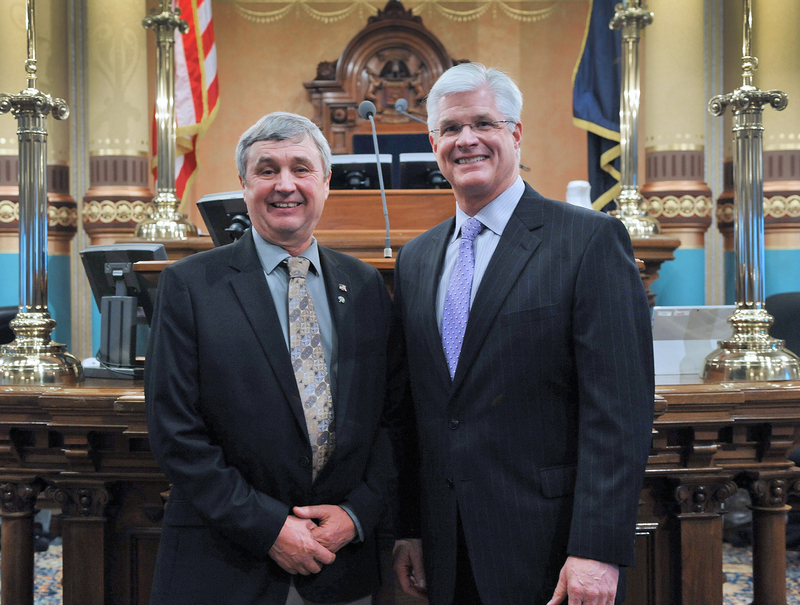 LANSING—State Sen. Mike Shirkey, R-Clarklake, stands in the Senate chamber with Jackson County GOP Executive Committee Member Hank Choate (left). Choate joined Shirkey for Gov. Rick Snyder’s fifth State of the State address Tuesday night. Note: Click the image for a print-quality version. This and other photos are also available by visiting www.SenatorMikeShirkey.com and clicking the Photowire link under the Media Center tab.